So, we decided it was time to offer something else. This summer, we’re debuting our new PVC outdoor shower kits on our website and select retail locations. 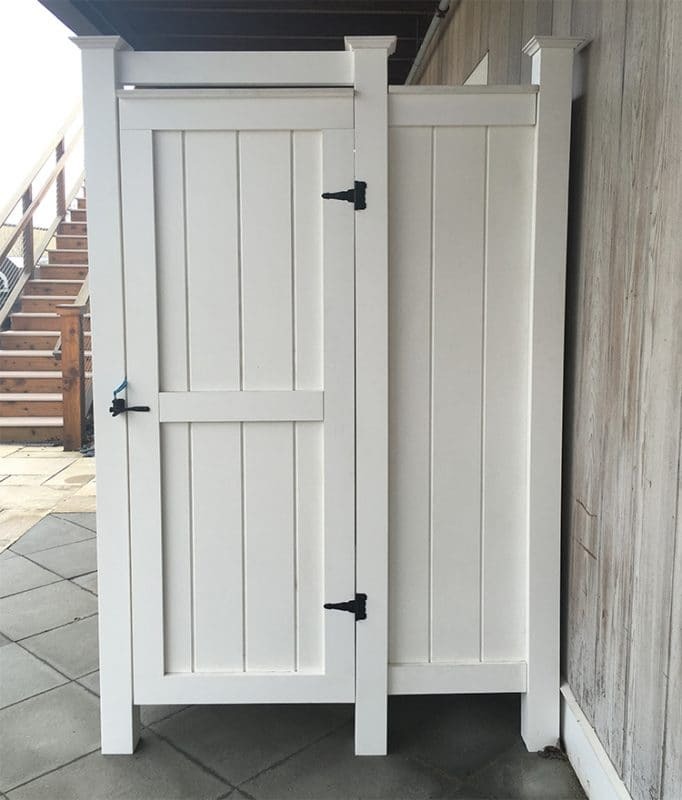 Built from sturdy, solid PVC, these kits are as durable as our original cedar models to stand up to any weather conditions. And because they are made from PVC, they are also low maintenance and easy to clean. 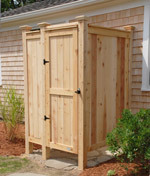 Our original cedar outdoor showers will eventually fade to what we like to call a natural Cape Cod grey. However, PVC kits will retain their original white coloring or can easily be painted to any color. 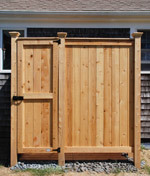 PVC kits are sleek and modern, while cedar kits are Cape Cod Casual with that characteristic knotty cedar appearance. These kits are guaranteed to look elegant in any yard! 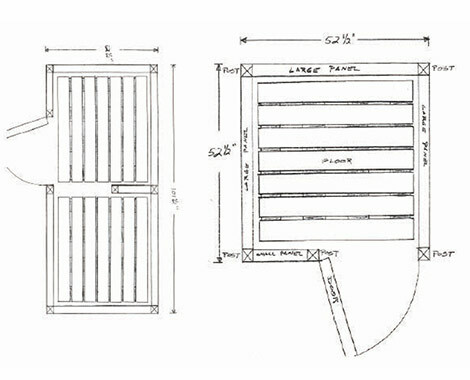 Our PVC kits are available in Standard, Deluxe and The ’83 styles as a complete kit only right now, which includes a floor and post caps. Don’t forget the extra posts for house-mount models to complete the look! This entry was posted in Outdoor Shower, Outdoor Showers. Bookmark the permalink.